The countdown to E3 2018 is well and truly underway for Sony and PlayStation. As part of its hype-raising strategy for this year, PlayStation has revealed that it will be making an announcement every day in the run up to its press conference on Monday June 11. The first announcement has come and it’s a brand new PS4 and PS VR game: Tetris Effect. Coming to PS4 with a PS VR mode in 'Fall 2018', this is a game from Tetsuya Mizuguchi and the minds behind Rez Infinite and Lumines. The trailer for the game which you can watch below is a little strange but it points towards a puzzle game that offers a brand new take on Tetris. 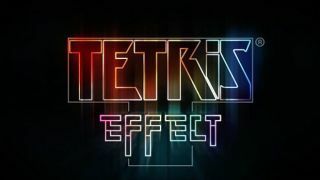 Named after the phenomenon where Tetris images linger in the vision, memories and dreams of players even after they stop playing, Tetris Effect will aim to imitate this feeling by immersing players in a three-dimensional Tetris world that reacts to how they play. The game will have a playable demo on the E3 show floor, though developer Enhance will apparently attempt to release a playable demo on the PlayStation Store later in the year for those who can't attend. According to the official website, the game can be played on PS4, PS4 Pro and in PS VR, with PS VR players enjoying 3D visuals while Pro players get 4K and 60 fps. There are now four more announcements to come over the next few days and these will include a release date confirmation as well as the unveiling of more brand new PS4 and PS VR games. Sid Shuman who announced the game said that this countdown is PlayStation’s way of trying something new. E3, he said, is “changing” and “evolving”, becoming much more than a week-long event and PlayStation wants to reflect that. Shuman promises that there will still be plenty of exciting announcements during the official E3 press conference but says that this is a way to give the many exciting games PlayStation has in the works the time they deserve.